Perhaps you are unfamiliar with musician Alex Chilton, but if you’ve heard The Replacements’ song by that same name, then you at least know that children by the millions sing for him and are in love with his songs. And that’s all you really need to know in order to enjoy the sublime new documentary Big Star: Nothing Can Hurt Me, a profoundly detailed love letter to the wildly influential, Memphis-based 1970’s power pop band that Chilton cofounded along with guitarist/songwriter Chris Bell, drummer Jody Stephens and bassist Andy Hummel. Directed by Drew DeNicola, Nothing Can Hurt Me is by turns heartwarming and heartbreaking, as band members, journalists, photographers, label employees, family, fans and friends recount their own experiences with and memories of a band whose three albums (#1 Record, Radio City and Third) garnered volumes of critical praise, but whose record label lacked the distribution necessary for Big Star to break commercially. Despite its music being virtually unheard during the band’s existence, Big Star songs deeply influenced bands as diverse as Cheap Trick, The Bangles, REM and The Posies, making them possibly the first cult band, ever. Like I said, you don’t need to know anything about Big Star or its music to be completely engrossed by the band’s story and be charmed as well as intrigued by its four very talented members, particularly the enigmatic Chilton and the insightful (and still devastatingly handsome) Jody Stephens. The band’s music, as well as Chris Bell’s post-Big Star efforts and Chilton’s many and varied solo projects, are featured prominently in the film, and I can guarantee that if you do not already own Big Star’s catalog you will be downloading it from iTunes directly after watching this film. Like another great music documentary film released this year, Jobriath AD, Nothing Can Hurt Me provides a bittersweet hindsight to what went wrong and what might have been done differently. Most importantly, it provides a showcase for music that is timeless, amazing and simply should not remain a well-kept secret. 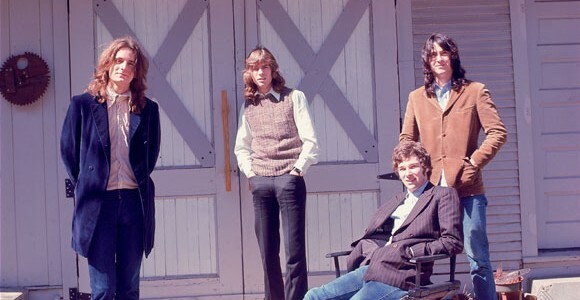 Adding an additional note of melancholy to the film is the realization that any true Big Star reunion is now impossible, with Stephens being the sole surviving member of the group. Chris Bell joined the 27 Club – the victim of a single-vehicle car cash – in 1978, and both Chilton and Hummel passed away within months of each other in 2010. It’s very likely though that this film will reignite a following and lead to more musicians being influenced by a band that never got to enjoy the fame and fortune they deserved. To find out where you can see Nothing Can Hurt Me before it’s eventually released on DVD, please visit Big Star Story Dot Com. The Worley Gig Gives Nothing Can Hurt Me Five out of Five Stars! I really want to see this. Thanks for the tip!